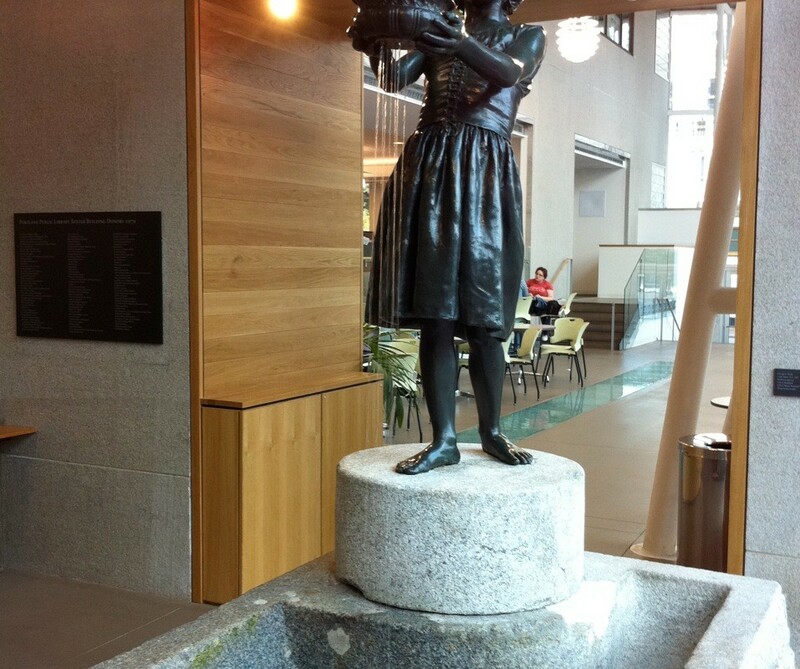 The Little Water Girl was donated to the City of Portland by the Women’s Christian Temperance Union (WCTU) in 1917. At the time, the WCTU urged its members to create public fountains to provide “pure drinking water” as an alternative to liquor. The Little Water Girl was given in honor of Lillian Ames Stevens, who was the second president of the WCTU, led efforts with the Anti-Saloon League and prohibition, and supported the women’s suffrage movement. Portland’s Little Water Girl is a copy of the original bronze fountain sculpted by English artist George Wade in 1893 for the World’s Fair in Jackson Park, Chicago. Two other copies are located in London, England and Detroit, Michigan. 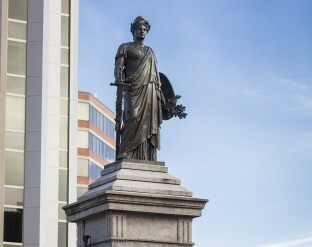 The fountain features a barefoot girl with outstretched hands holding a small cup resembling the Loyal Temperance Union badge that trickles water into a basin below. 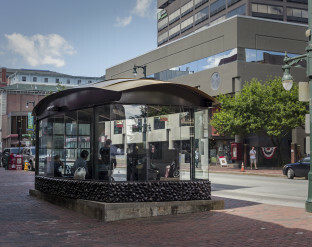 The granite base was designed by Portland architect, Frederick A. Thompson. The water falls into what was a drinking trough for horses in the base at the girl’s feet. Two wide steps are carved out of the left side as an invitation to ascend and drink from the cup, and in the rear right ground level corner of the base there is a small basin into which flowing water was directed for birds and dogs. 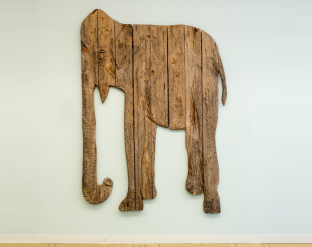 The overall design was meant to memorialize Mrs. Stevens’ great love for all living things. 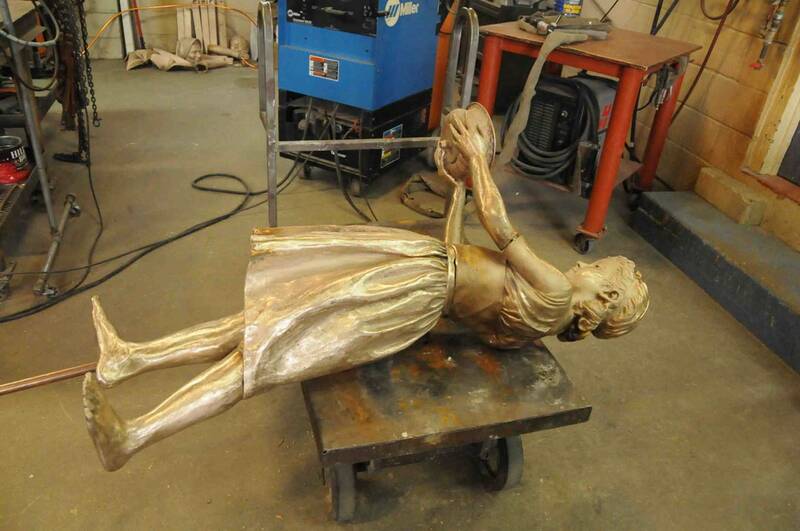 The Little Water Girl was originally installed in Congress Square and twelve years later was moved to Deering Oaks Park. 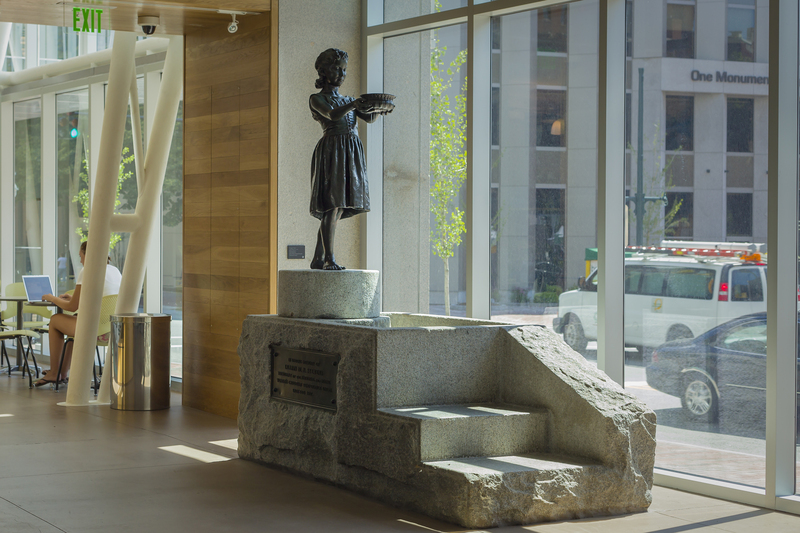 She was finally relocated to the Portland Public Library in 1979. An important part of the Portland Public Art Committee’s mission is to preserve and restore the city’s public art collection. 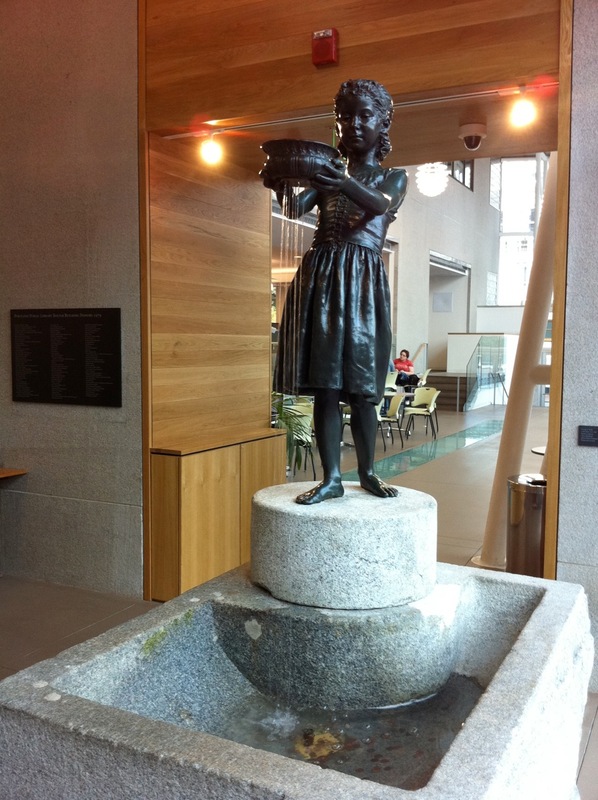 In keeping with this charge, in 2010 The Little Water Girl was re-plumbed to a working fountain, cleaned, and had her granite base restored and renovated in conjunction with the library renovation. While these renovations were underway, the City of Chicago recast the bronze statue to replace the original, which had been stolen in the late 1950’s. 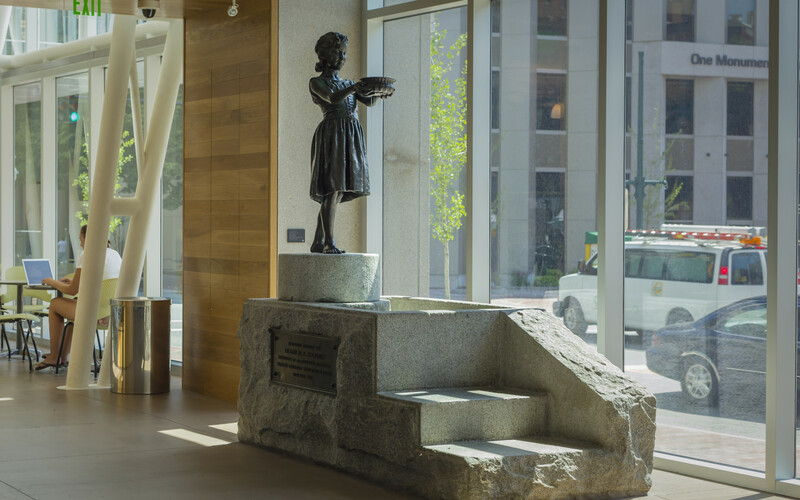 The Little Water Girl now stands proudly in the library lobby welcoming visitors to the building. Little Water Girl Talk During First Friday Art Walk, April 3, 2015 from Portland Public Art Committee on Vimeo. George E. Wade, sculptor; Frederick A. Thompson, designer of granite base.